Hundreds of Americans have suffered tremendous losses from investing with Tracy Sunderlage and Nikolai Battoo and funds related to them. Some say the two men are responsible for $1.5 billion in investor losses. One of the biggest battles being fought today concerns the whereabouts of the missing money. To date we have spoken with dozens of investors and all ask the same questions – Where is Sunderlage? Where is Battoo? And perhaps most importantly, where is my money? Th e latter fight is being wages in courtrooms throughout the world. Some of the biggest actions are those brought by the Securities and Exchange Commission (SEC) and Commodity Futures Trading Commission (CFTC). Both cases are filed in an Illinois federal court. The SEC’s complaint names both men and BC Capital, the umbrella company for Battoo’s financial “empire.” The CFTC’s complaint, however, names only Battoo and BC Capital. In addition to the actions brought by the federal government, there are liquidations or receivers scrounging for assets of a number of Battoo’s companies including Maven, PIWM, Anchor Fund and BC Capital. One group is proceeding through an action in the British Virgin Islands. The BC Capital liquidation is proceeding by authority of the Supreme Court of the Bahamas. The BC Capital liquidators have done a great job of determining how much was lost but have yet to find much money. They say Battoo solicited $422 million from over 800 investors. Of that sum, $149 million was paid back, mostly to earlier investors who got out before the scheme collapsed. Sunderlage hasn’t come forward yet with an explanation and Battoo is rumored to be hiding in Switzerland. 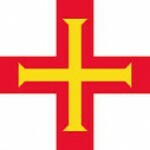 While they alone can best answer the question of the missing money, all eyes have been on the crown dependency of Guernsey. 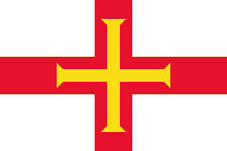 Although only being 31 square miles and having a population of 65,000, the Bailiwick of Guernsey, is an important European banking center. It may also millions of investors funds. The Royal Court of Guernsey is now wrestling with the competing claims of the various receivers, government agencies and liquidators trying to access Battoo’s money which may located there. A decision earlier this summer was critical of the SEC and CFTC for coming to court less than prepared, however. Why does all this matter? Although everyone is trying to collect money for the victims, the victims of Anchor may be different from the victims of Sunderlage or Maven. Which agency or receiver gets the money could be critical in determining how much and which invstors might get back some of their money. To date neither Tracy Sunderlage nor Battoo have been criminally prosecuted. The SEC and CFTC charges are civil, although the complaints mince no words about the men.